OFFERS INNOVATIONS FOR THE STRICTEST DEMANDS. O.E. quality for the aftermarket. 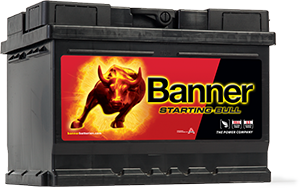 The Power Bull is Banner’s premium starter battery for modern vehicles. 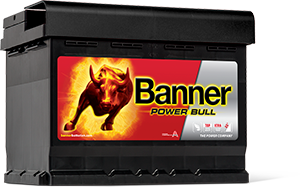 Designed in accordance with the OEM standards of BMW and VW, the Power Bull is a logical first choice when it comes to replacement battery selection.